What is "it"? "It" is a collection of factors. For a musical artist the factors include sound, songwriting, charisma, connection, likeability, looks, and perhaps some characteristics personal to members of the public. A fan may not be able to articulate all the reasons that a band has "it", but like a former US Supreme Court Justice, we know "it" when we see "it". The above is relevant because on the basis of what we've seen and heard from Babaganouj, the Brisbane trio has "it". Crafting infectious power pop since 2011 with influences from the UK to New Zealand to the US and, of course, their own back yard. Their new EP is Pillar of Light, and it thrills with three upbeat songs that blow away contemporary bands from other lands (names withheld our of kindness) with whom they are compared. Then it closes with a fine acoustic track. Babaganouj are Charles Sale, Ruby McGregor, and Harriette Pilbeam. All three are adept songwriters and have contributed at least one song to Pillar of Light. A spin of lead track "Do Rite With Me Tonite" should convince you that our conclusion regarding this band is correct. But if you need more evidence, or just want to listen to some great music, you can stream the entire EP below. I think it is time to stock up on Babaganouj. How about you? Prince has died, and I'm not going to write a long tribute, as I don't feel capable of writing something worthy of what Prince brought to the world of music. Suffice it to say that his vision, audacity, songwriting, and performances made him one of the more complete musical geniuses of my time. Here are some clips of some of my favorite Prince songs, including Crooked Fingers' appropriately dirge-like version of "When You Were Mine". Are the lips that are kissing your ears lately Acapulco Lips? If not, you are experiencing an excitement deficit in your personal life, so let us help you. 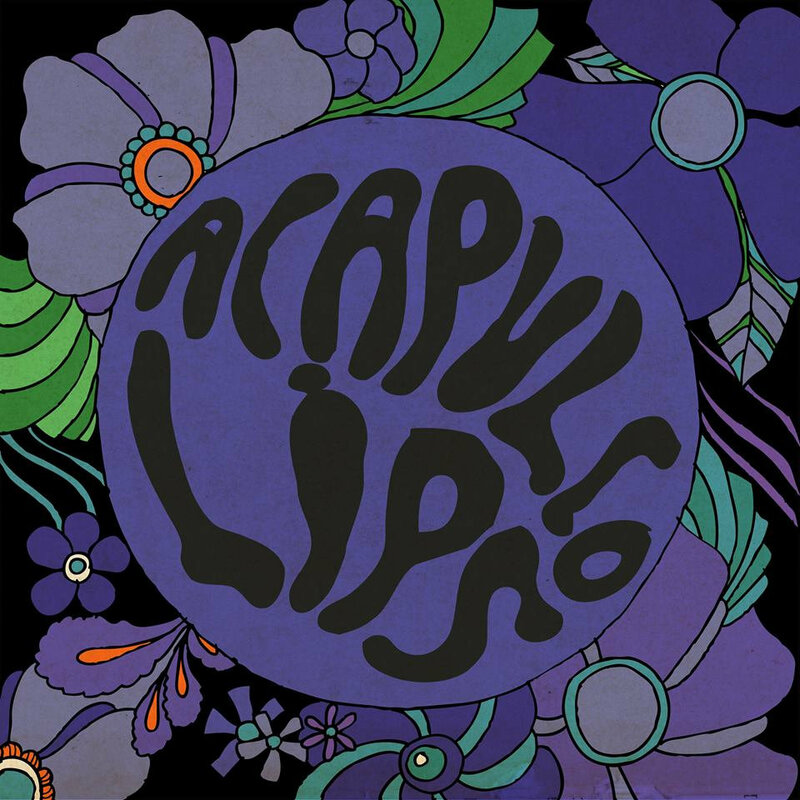 Acapulco Lips is a Seattle garage rock trio that thrills you with surfy rock, twangy girl-group retro, gritty garage and similar manner of retro wonderfulness. Yeah, that's a wide scope, but this is a young outfit seeing what works. And the good news is that it all works quite well. Their nine-song self-titled debut album is out now via Killroom Records in CD and vinyl formats. The songs are fast paced, full of hooks and enthusiasm and with an emphasis on maintaining the fun, even when life is kicking you. You deserve Acapulco Lips for your summer soundtrack. And here is a link for a free download of album track "Awkward Waltz". Acapulco Lips is Maria-Elena Juarez (bass/vocals), Christopher Garland (guitar/vocals) and Davy Berruyer (drums), hailing from Austin, Texas, Seattle, Washington, and Grenoble, France, respectively. We recently featured the first single from the upcoming debut LP by translantic electronic duo Djustin. Consisting of Sweden's Johan Angergård and Detroit's Rose Suau, they create soaring, romantically shaded melodies for the dance floor. You now can hear "Tryst", the second song from the EP. Exciting stuff, and you can see why Johan Angergård, the label boss at Labrador Records, was happy to sign Johan Angergård and Rose Suau to his lable. This seems to be "introduction day". Please meet Hamilton, Ontario's Basement Revolver. The trio of Nimal Agalawatte, Chrisy Hum and Brandon Munroe aim for the introspective and emotional channel of indie rock. Their introductory single is "Johnny", a tear-stained story of betrayal purely voice by Chrisy Hum. Enjoy below, and if you like it, click on the Bandcamp link for a name-your-price download. And look for their debut EP in July. We can all use a bit of enchantment in our lives, so as a public service, we bring you the first solo single from Maria Usbeck, formerly the lead singer of Selebrities. "Uno De Tus Ojos" shimmers and sparkles, sweet and bright, and it makes my day better every time I hear it. "Moai Y Yo" bubbles and soothes with a tropical feel. Maria lives in New York, but is a native of Ecuador and sings in Spanish for this outing. And as an extra bit of good news, the release of this single heralds her solo album Amparo -- inspired by her travels through South America and the stories from her family's elders -- which will be released on May 27 by Labrador in Europe and Cascine in North America. It is quite likely that you don't have much if any music by Les Autres. A French bad from the first half of the 1990s, their fame, such as it was, was local, and their recorded output of indie pop/noise pop songs made their way to but one album, and a number of singles and contributions to compilations. I expect that all of those recordings are now out of print, and I find that a very sad turn of events. Les Autres songs possessed a charm, directness and immediacy that in my opinion makes them a lost treasure in the indie world. Coming to the rescue is Backwards, a compilation of Les Autres songs from Jigsaw Records. The album isn't a compilation of former releases, but rather a 20-track collection of alternative versions, demo versions, live versions, and previously unreleased songs. Not that such sources should bother anyone as (1) most music fans don't have the originals, and (2) this is not a genre that tends to be overly processed in the studio anyway. I've become very fond of this little gem, and at $7 for a digital download, it is an investment I can recommend without reservation. Finnish quartet Black Twig has earned a spot on my list of favorite current bands. Their earlier work trod the drone side of indie rock, with nice psychedelic flourishes and a few jangling gems. And then there is Blaze On A Plain, their new album for Soliti Music. 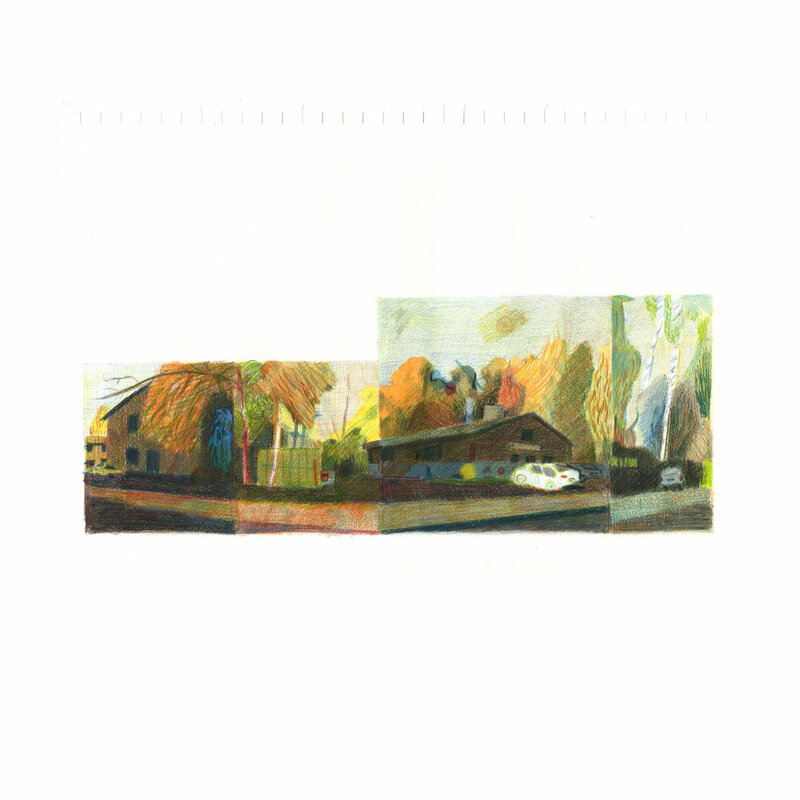 Ten tracks that create a delicious guitar stew of Teenage Fanclub, Close Lobsters, Paisley Underground, Britpop and, at times, west coast guitar pop. The first two tracks, "1998" and "The Swallows" may tempt you to think that the band put all the dazzle up front, and those songs are good enough to tempt such thoughts. But then "Never Gonna Learn" prompts you to wonder if The Grateful Dead volunteered a track for our Helsinki friends. "Hyvinkää" is a droning psychedelic treasure, and is perfectly followed by the intriguing acoustic instrumental "Oldschool Jungle". The second half begins strong with the wistful "Sweetheart", and just grows stronger with the urgent "Lauranne", the psyche pop "Gods", the droning "Taivas", building to the glorious, jangling conclusion of "Sunday TV". This is a band on a journey, and the path has led them to a good place. If you love guitars and melody, this album is one you shouldn't miss. Blaze On A Plain, the title of which refers to the band's rehearsal space, was recorded live, which given the quality of the performance is quite remarkable. Currently, the album only is available in vinyl and digital formats, although a CD version may follow later this year.